For decades, the sportfishing, shooting sports and general outdoor recreation industries had to work for attention. Gaining support for industry initiatives and priorities was a challenge, especially when competing for attention versus industries recognized and reported in official government statistics. Things are changing, however. 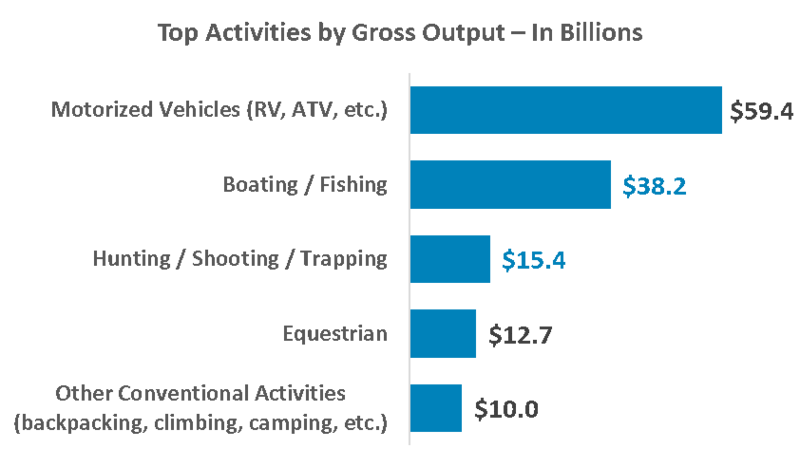 In 2018, the U.S. Bureau of Economic Analysis (BEA) began reporting outdoor recreation, such as sportfishing, hunting, target shooting and boating, among the lists of other activities it tracks, giving outdoor recreation a major boost when national priorities are discussed. Like other industries tracked by the BEA, the outdoor recreation satellite account is divided into two general categories: core and supporting. Core activities include the production and purchase of goods and services that are used directly for outdoor recreation, such as gear, apparel, fuel, concessions and fees. Supporting activities are goods and services that support access to outdoor recreation, including trip expenses and government-related expenditures. 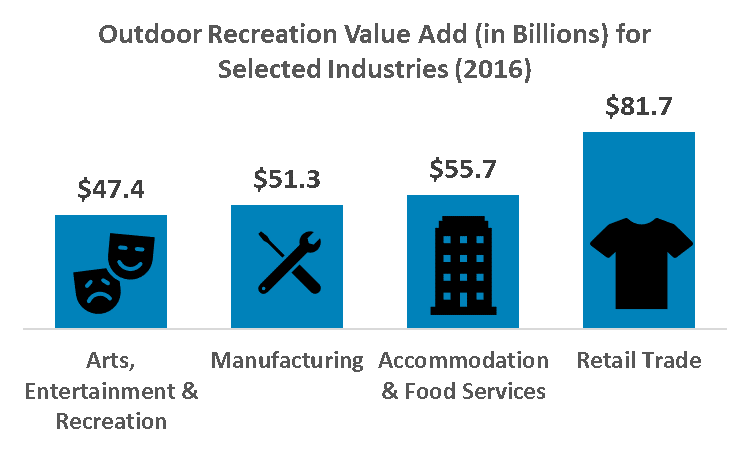 In 2016, conventional recreation accounted for 36.7 percent of total outdoor recreation output, other recreation accounted for 22.1 percent and supporting activities accounted for the remaining 41.2 percent. 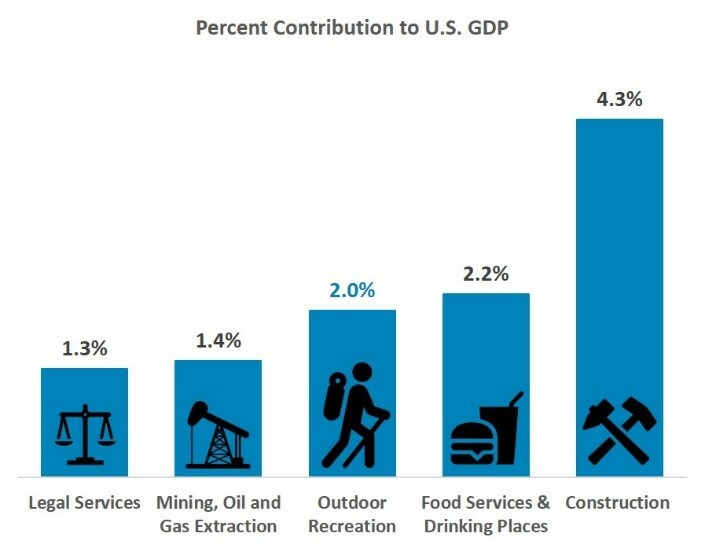 It is important to note that many expenditures made for outdoor recreation are not included in the BEA’s estimates. While activities such as guided fishing trips are including in the sportfishing industry’s size estimates, these are already reported in the BEA’s separate travel and tourism statistics. These are left out of the outdoor recreation statistics to prevent double counting. Along with imported products and the separation of motorized vehicles from their applied uses (hunting, fishing, etc. ), such exclusions help to keep the BEA’s estimates lower than size estimates reported by individual outdoor industries. Only the mark-ups applied to imported products within the U.S. are included by BEA. With the BEA still examining improvements based on public comments, adjustments to these exclusions are possible in the near future. The BEA’s new pilot account for outdoor recreation is a big boost for outdoor businesses. The results will help decision makers keep outdoor recreation top-of-mind when allocating scarce budget dollars and more. In addition, outdoor recreation will be on equal footing with other critical industries when national priorities are set and when regulations are debated. Without a doubt, with the new BEA numbers, the outdoor trades now stand a bit stronger in defending and expanding U.S. recreational opportunities.